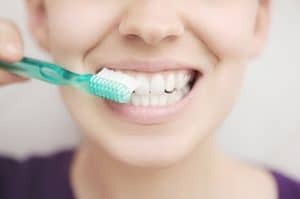 Yes, when you think about your dental hygiene, you may assume that as long as you’re attempting to do some amount of oral health cleansing, you must be on track. However, you cannot trick your smile. When you perform the appropriate cleaning successfully, your smile stays healthy. When you don’t quite get it accomplished as you need to, your oral health will suffer. Not sure if you’re doing everything right, getting some things correct, or if you’ve got it all messed up the moment? We can help you! Are you brushing frequently enough? If you aren’t, then your dental hygiene isn’t up to snuff. Yes, brushing once a day is beneficial. However, it’s not as helpful as you might think. For the healthy smile you can easily attain, you need to brush two times. One time in the morning. Again in the evening. If you’re brushing twice a day, then good for you! However, are you brushing correctly? It’s easy, so don’t worry: Brush for two minutes, twice daily, which means a total of four minutes of brushing. Then, simply make sure you’re cleaning every last surface of your teeth that you can reach! 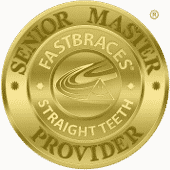 Are you flossing frequently enough? Unlike brushing, you only need to do this once a day. That doesn’t mean a few times a week, remember. It means literally every single day, so your dental hygiene includes clean spaces between teeth and below your gumline! Again, if you floss daily, you’ve got the right idea. However, make sure it’s correct! This just means that you need to floss gently, between every set of teeth, behind back teeth, and that you must begin with the floss beneath your gumline. When you see our friendly faces for your dental checkups, remember that it’s a wonderful time to ask us for help with details like your dental hygiene. Get the information and treatment you need in Celina, TX by contacting Celina Family Dentistry to schedule a visit today at (214) 851-0130.